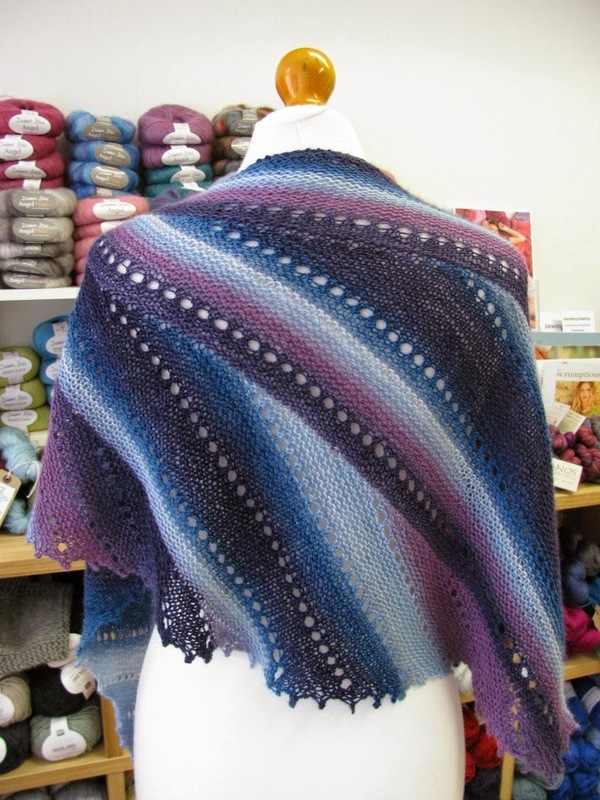 a new shop sample in the gorgeous silk blend Amitola! 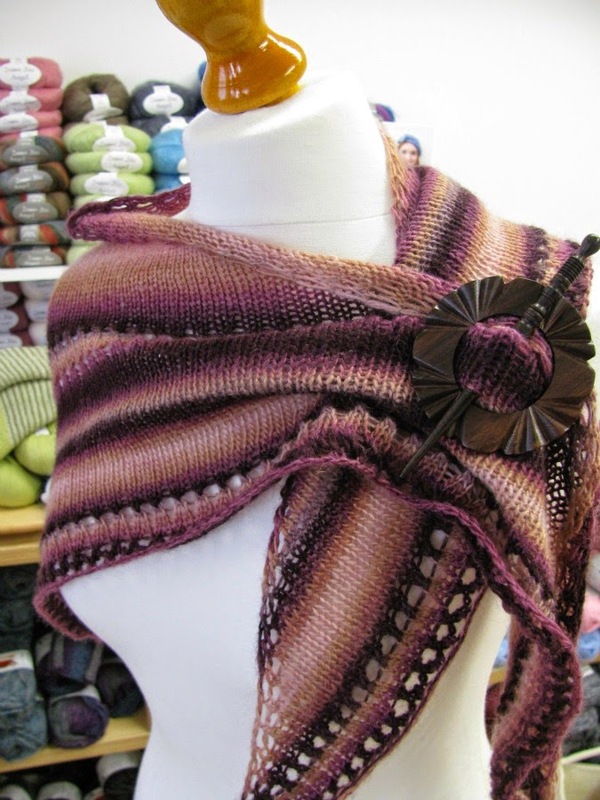 Imagine When is an asymmetrical shawl pattern by Joji Locatelli. You can buy the pattern on Ravelry. 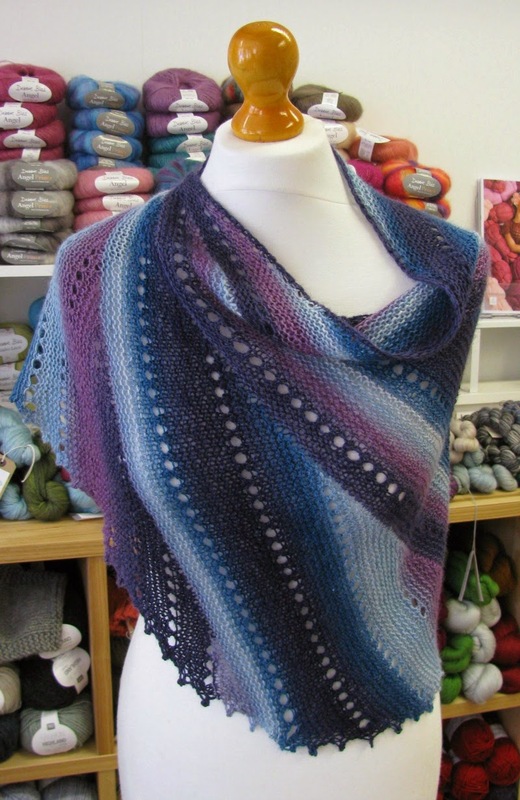 The pattern calls for 500 yards of a 4ply yarn. We used Amitola from Louisa Harding. Amitola is a light DK - a sport weight. We used 2 balls and a 4mm needle*. We only had 3g of yarn left over! You can read about it on our Imagine When project page on Ravelry. 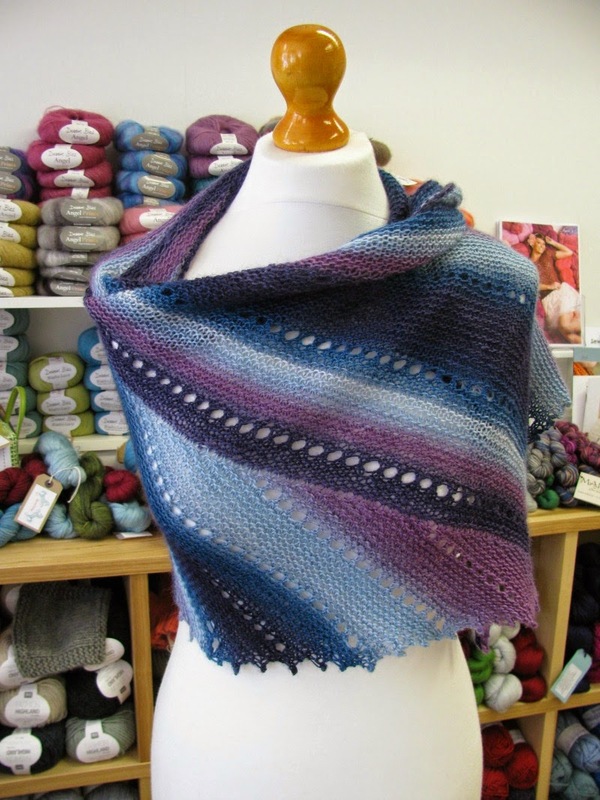 Amitola is a 80% merino, 20% silk blend and we have lots of shades in the shop! 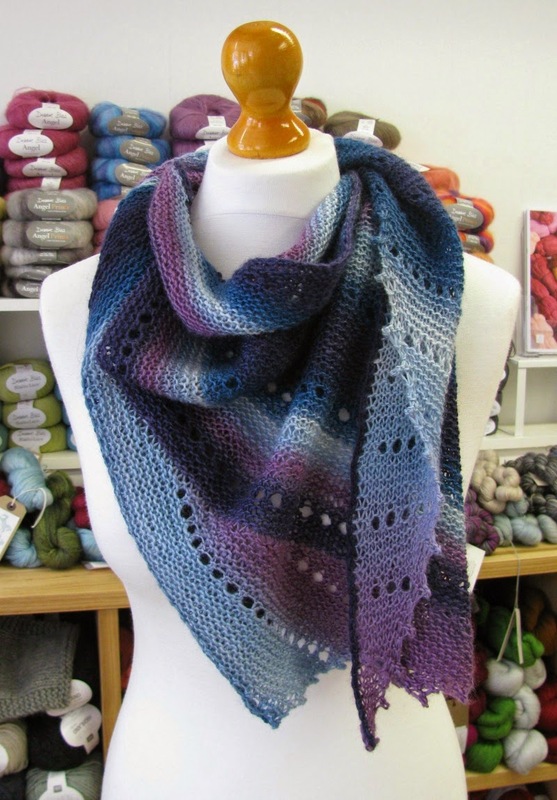 *if you are a loose knitter (like Fiona!) you may want to use a 3.5 or 3.75mm needle as you could run out of yarn if you use a 4mm!